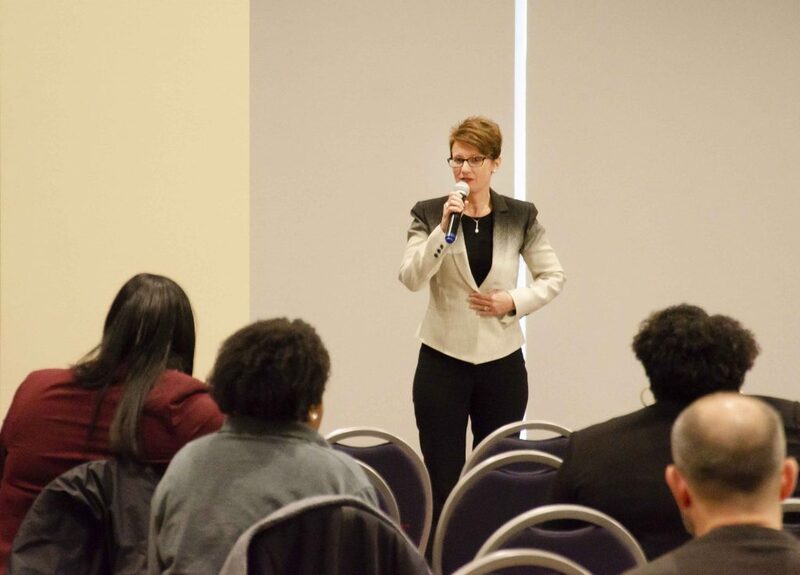 Brandi Hephner LaBanc may leave her job as the university’s vice chancellor for student affairs. She appeared before a search committee at the University of Utah last Thursday in a town hall interview for the position of the school’s vice president for student affairs, according to the University of Utah’s website. Following her interview, Hephner LaBanc released a statement in which she praised Ole Miss’s leadership and said she was honored to be considered for a leadership position at another university. Vice Chancellor For Student Affairs Brandi Hephner Labanc is interviewing tomorrow to potentially become the vice president for student affairs at the University of Utah. File photo by Parker Galloway. The vice chancellor for student affairs position at the University of Utah is being vacated by Barbara Snyder, who, before she retired earlier this year, served in the role since 1999. Lori McDonald, who served under Snyder as associate vice president and dean of students, is interviewing on Tuesday for the same position as Hephner LaBanc. Hephner LaBanc’s possible departure comes after a handful of other upper University of Mississippi administrators have left the school. Earlier this year, Melinda Sutton Noss, Ole Miss’s dean of students, announced she is leaving the university to take an administrative job at her alma mater, Southern Methodist University. Leslie Banahan, the assistant vice chancellor for student affairs is also retiring from the university at the end of the academic semester. The two jobs are not posted on the university’s career website, but they are posted on Spelman Johnson’s website, an executive hiring firm for higher education the university has contracted to assist in the search for a new chancellor. If Hephner LaBanc is offered and accepts the job in Utah, this would leave three spots vacant in department of student affairs at the end of the semester. Rod Guajardo, a UM spokesman, said it’s normal for the university’s top administrators “to be sought after by other national universities” or to retire from Ole Miss after many years. Hephner LaBanc’s interview at the University of Utah also comes shortly after Jeffrey Vitter, the former chancellor at the University of Mississippi, said he didn’t have enough time to assemble a broad leadership team while at Ole Miss in an interview to potentially become the president of the University of South Florida. Hephner Labanc was the first of three candidates to interview for the University of Utah job. Lori McDonald, dean of students at the University of Utah will interview on Tuesday and a third candidate who the university has yet to name, is set to interview on Thursday. A decision date has not been released by the university.